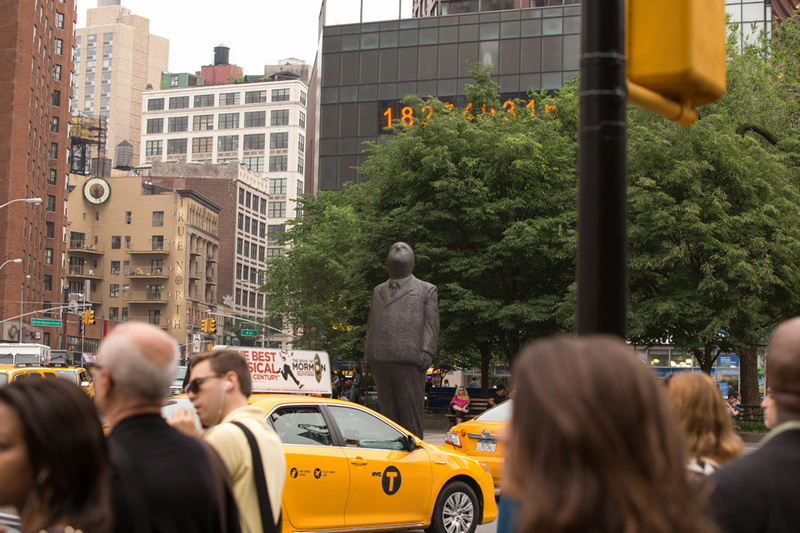 NYC Parks and Cavalier Gallery, in cooperation with the Union Square Partnership, are pleased to reveal THINK BIG by Jim Rennert, in New York City’s Union Square Park. Located at the park’s south eastern triangle, Jim Rennert’s monumental bronze sculpture will be on view June through May 2015. Think Big is a sculpture that serves to inspire everyone who works hard every day to achieve their dreams and goals. The towering businessman gazes upward at the Manhattan skyline, contemplating the possibilities that lay within his vast surroundings and reminding us that if we “think big” any dream is attainable.